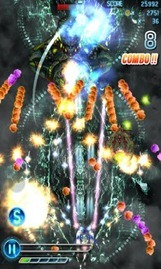 Top-down shooters, also known as "bullet hell" games, are fairly common on mobile platforms. But rarely have we seen one with the complexity and artistry of this one. 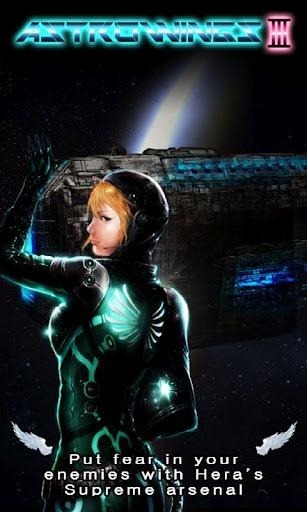 AstroWings3: Icarus is the latest in a series that started on iOS, and the first to make the warp jump to Android. Don't let that dissuade you, though - it's well worth your attention if you're a fan of the genre. 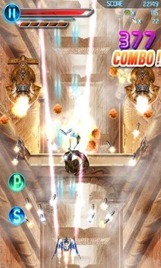 Customizable weapons and screen-filling attacks are par for the course, and the loose connection to Greco-Roman mythology gives the game a nice presentation. You'll need a pretty powerful device - my Galaxy Nexus shudders when there are too many enemies at once. So what's the downside? Unfortunately, it's the monetization path that developer M2M decided to take. The game is free, but you'll be bombarded with ads as well as bullets, even in the most stressful of gameplay. 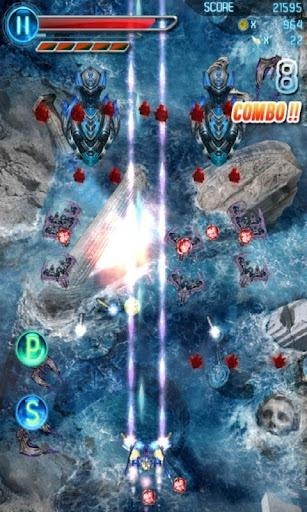 Normally an ad-supported game doesn't bother us... but you'll also have to cough up some in-app payments to get access to two out of three of the available ships, and both the Medium and Hard difficulties. Power-ups can be obtained with points earned in-game, but the best ones are so expensive that you're almost forced to buy extra points with real money. 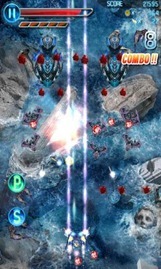 Ads plus in-game purchases equals double-dipping on gamers, and make AstroWings3: Icarus hard to recommend. The "formal version" (which we assume means ad-free) is available on Samsung Apps.